Enovk Nasariants was an accomplished master of pastel. His live was one of hardship and deprivation. He moved to Tiflis (today Tbilisi in Georgia) and later to Alexandropol (today Gyumri in Armenia), where some his of work has been preserved. Of his portraits very few have survived elsewhere. His work illustrates refined knowledge of technique and the use of pastilles little known to artists of the region. 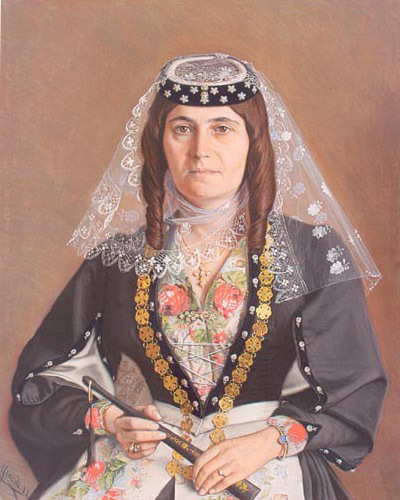 On his portraits we can see fine detail of Armenian costumes from the old Caucasian cities. 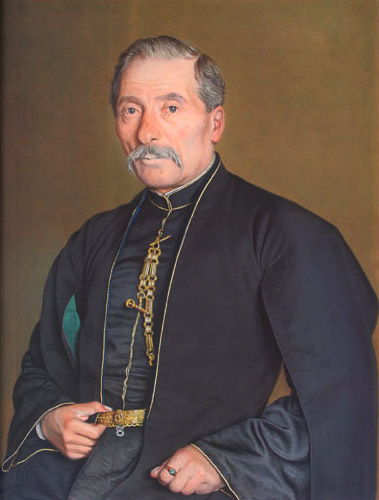 Portrait of Hovhannès Chalamian by Enovk Nasariants (1897) from the National Gallery of Armenia (Yerevan). Next Article Portrait of an Armenian lady with child in traditional clothes XIX century.